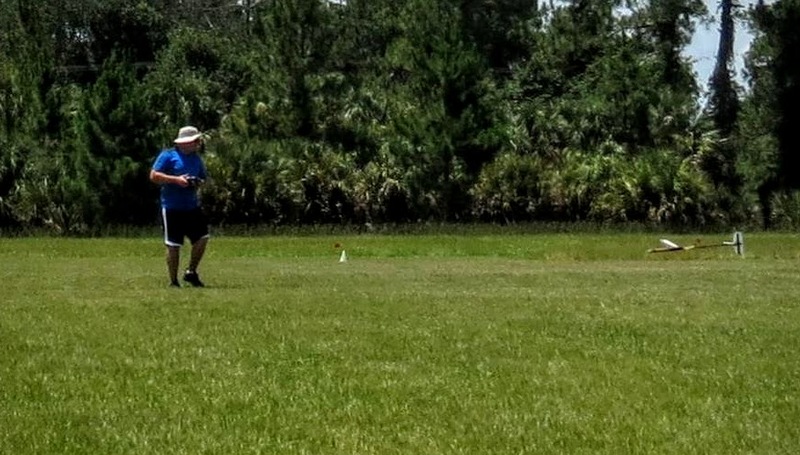 This past weekend, June 12th through the 14th, I participated in the 2nd Annual Summer Solstice DLG Soaring Competition outside of Orlando, FL. This event was a F3K competition flown with DLG gliders. It was my first time participating in a DLG competition. It was fun! The event took place over Friday, Saturday, and Sunday. 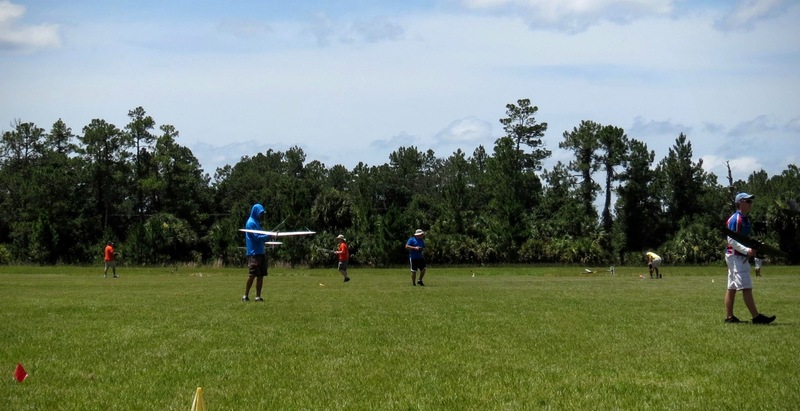 It was held at the Orlando Buzzards Christmas, FL field. The Buzzards have a really nice field for glider flying. 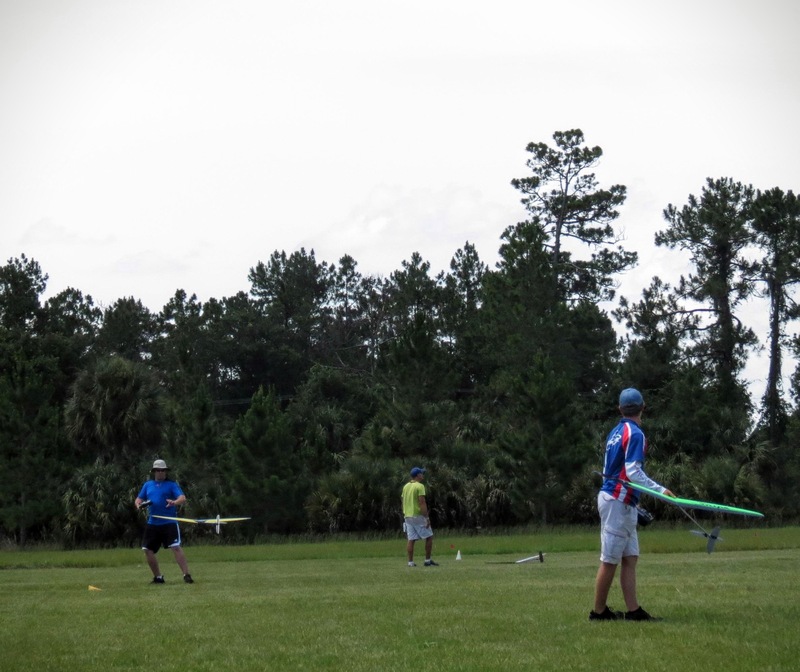 It was the second time I have flown a competition at the field. A DLG contest is much different than the thermal duration contests that I had completed prior to the event. With thermal duration there is a goal time you want to achieve and then land within so much distance of a pin for additional landing points. In DLG contests there are a number of tasks that are flown. There a few simple tasks such as a maximum of 5 minute flight with 7 minutes to achieve the time or all up all down with a maximum flight time of 3 minutes. Then there are the turn around tasks that require skill in not only finding lift and making time, but being able to turn around quick launches such as 5 best flights with a maximum of 2 minutes per flight in a working time of 10 minutes. This task requires you to literally catch the glider in the air and throw it in one motion in order to minimize the amount of time lost between flights. A perfect score would be something like 1:59, 1: 59, 1: 59, 1:59, 2:00. Another task, poker, requires you to call a time and then have to make it in order to count. The last day of the contest concluded with an all up all down fly off contest. The fly off rules went like this: All pilots must launch within 3 seconds of the horn. The first pilot to land is out of the contest. If you land outside of the landing zone then you’re out regardless if someone else was already out. Once someone was declared “out” all pilots had to land within a specified window. The window started at 30 seconds but would decrease. My goal for the flyoffs was to not be the first one out. I actually made it through a four or so rounds! On the round that I was out I didn’t get in a good launch and wasn’t able to find any low lift. Oh well! The contest was a blast and I can’t wait till the next one! Tagged contest, Discus Launch Glider, DLG, Soaring. Bookmark the permalink.